* Update – I have decided to Include some interesting Overseas Marathon into the list. 18/06/11 : SGRunners 6th Year Anniversary Run – Banana Relay (L) *must go! u can try the 12km in april run..www.2xucompressionrun.com.sg n the northeast run 16km in march..king of the road adidas run in oct if i’m not wrong. good luck. n there’s also a newbalance 10km realrun. u can browse for details online or ask frends. Hi, we are looking for a trainer to run 2.4 to 10 km. Can any trainer contact me at 9105 0030. Thanks! This is great to plan next year runs. thanks for posting this 2011 running events… just a beginner started running for the past 2 months and completed 3.5K, 4K and 5K fun run!!! looking forward to improve my timings in preparation for my targetted goal of half-marathon by the end of 2011!!! Hey… same here…. but I completed 2 x 10km run..
looking to complete half marathon 1st, if possible, try full at the end of the year..
hi, how could i register for terry fox run.. i could not find the website. Very nice to be able to see what events coming up, but it will be great if u can input the link as well. How about adding the Angkor Wat Half Marathon into the list. It will be held on Dec 4th 2011. A group of us took part in it last year and had a great time running past the historical sites. Small event with less than a thousand runners in the half marathon category. Thanks very much for collating the calender. It has been very helpful!! 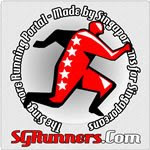 Pls notify and latest update Singapore running event 2011. Subscribe to My Running Addiction for all the latest Running updates, Locally and Internationally! Hi. Im planning to travel to Singapore anytime September. Id like to run in one of Singapore’s running event on this month. Could you give me great event on that month where i can join? An event that I can already checked out the details so I can plan it well since Ill still be coming from Phil. Marina Bay run would be great but until now I cant check their details yet.Any suggestions? There will be a charity run called Run and Raisin 2011 on the 12th March 2011. The Great Eastern Women 10K 2011 will be on the 3rd July! Hi. For the marathon on the 4th December 2011, how do we register? Any website to visit so we can check details of the event? Goddess Run, Believe it or not Nike was named after a greek goddess, so it natural for nike to go to this direction. GE run not in Oct, is early this year in July-03-2011. Army Half Marathon is confirmed to be on the 4th Sept 2011. I am from the Shape Magazine. We are glad to see the Shape Run 2011 on your calender of events. But the information is not accurate. Can you please update the information on the calender? Shape Run 2011 (not the Nike Shape Run) will be held on 24 July 2011. Details of the event can be can be found on the website above. Appreciate your assistance on this matter. AHM is 4th Sep this yr. Reg for past runner available since 5-May. Hi! Is the Dec 4 SG marathon the ING race? What distances does this normally have? I’m from the Philippines and it will be my first time to run out of the country, i’ve been hearing SG sponsors nice races and am interested =) If you have any details, would love to hear from you. thanks! sorry….might i know the King Of The Road by Adidas is 84km or 16.8km only? Great info. I will be sharing your url with my fellow group of runners. May I know how about shall I go in order to sign up for the race pack volunteer? How will I know if Nike Human Race registration is opened? I really do not want to miss it as I know is really a hot event always full within 4 to 6days. Would you be able to alert me, once the registration is opened ? Really hope you could inform me once the registration is opened. Can pls inform me once the Nike Human Race registration is opened. i ve missed the registration for the last 2 yrs & i dont want to miss it again this yr.
Is nike race 2011 registration opening soon? They said it would be within this week (5th-11 Sept), but I guess things are still being worked out. Do you have a plan for the begginning of 2012 ? 2012 Running Calendar will be out in December. watch out for it!